Home / Articles / Do You Believe in Ghosts? The concept of ghosts and haunting is a topic an array of people find interesting, including me. 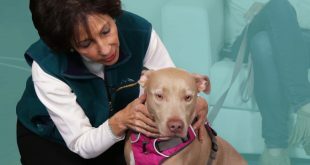 Through this blog, I will share my personal experiences and the experiences of others, as we try to draw conclusions about what lies beyond based on what we know and learn. When you read, see or hear the word “ghost,” what image does your brain conjure? What thoughts do you have in your mind? If you’re like a lot of people, you may think of how ghosts are portrayed in TV, film, literature an pop culture. There’s the movie, Ghost, with Demi Moore and the late Patrick Swayze. There’s Marley’s ghost in A Christmas Carol, and there are a ton of ghost hunting shows on television. Sometimes ghosts are portrayed as harmless spirits and other times they’re portrayed as malevolent. 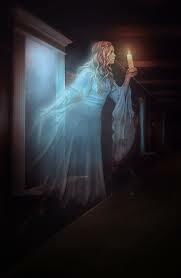 The word “ghost” is defined as: the soul of a dead person; a disembodied spirit imagined as a vague, shadowy or evanescent form wandering among or haunting living persons. In all of my years as a professional psychic and medium, this is the first time I’ve ever looked up that word in the dictionary! I also looked up “haunting,” and it is defined as: remaining in the consciousness; not quickly forgotten. In my experience (and the research agrees), most hauntings are not negative experiences. They are often nothing more than emotional imprints. An emotional imprint is energy that is left in the energetic field of a place. It’s like a distinct marking of an event that contained heightened emotions. Have you ever heard of the hitchhiking ghost who walks along the road where they were struck and killed? If you see that ghost, what you’re actually seeing is the emotional imprint that event created. It does not mean that the spirit of the person is stuck wandering that stretch of road for all eternity. It’s just that the emotional energy of the event is sealed in that place. Everything has energy and is surrounded by energy. It’s like a photograph—a moment in time has been captured and is being viewed. When it comes to ghosts, that “photograph” is being viewed over and over again. Once the story is shared, others become more open to viewing it. This is how the story of a haunting begins. We tend to think of ghosts as earthbound spirits, but just because spirits are around us, it doesn’t mean they’re earthbound. Because spirits no longer inhabit a physical body, they are not easily noticed. So when we notice them, we think it’s a special event—a haunting! 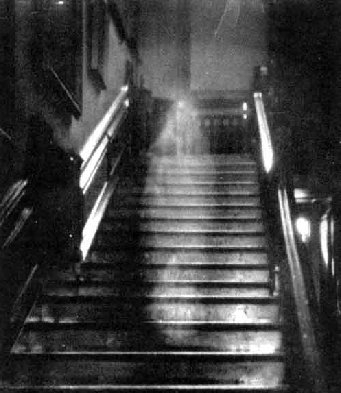 However, it’s important to note that the reason we often see ghosts is because they are working to be seen! They may be trying to connect with you because they want to tell you something. Or, if they lived in the house you live in now, they could just be making their presence known. Or you could just be seeing the imprint they’ve left behind. How can you tell the difference? I just ask the ghost! But you have to be willing to listen for the answer. Sometimes the answer comes in a direct way. Many times it comes as pictures in your mind, a feeling within or as something that happens down the road. Another thing to know is that spirits are usually looking to help, not harm. If their presence makes you uncomfortable, politely ask them to back off and tell them that they are making you nervous. Generally, they will oblige. But if you feel like you’re being haunted, or know that you’re being haunted and would like help getting the spirit to back off or would like to communicate with them directly, a psychic medium is your best bet.